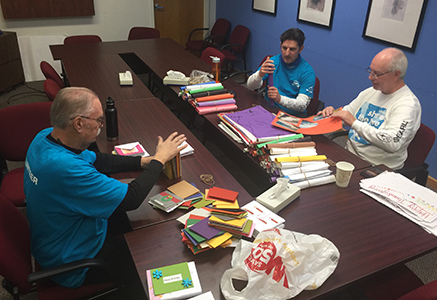 The Subaru of America, Inc. crew joined us once again to volunteer as part of our Home Delivered Grocery program. 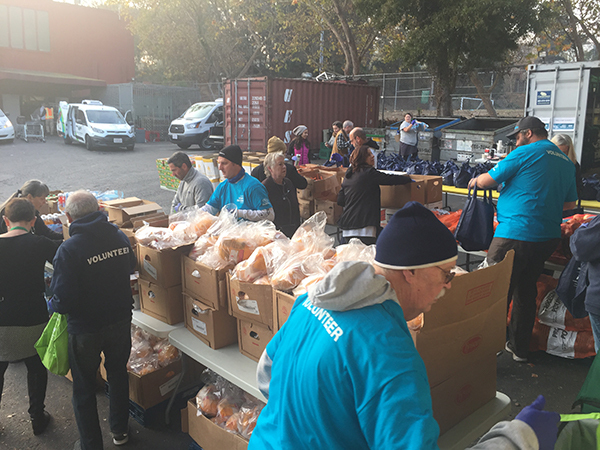 Before dawn, these wonderful folks helped unload the pallets of produce and protein and then assemble over 600 bags of fresh groceries for San Franciso seniors. And they didn't stop there! The Subaru team went on to deliver 200 bags of groceries to 100 clients and a few even stayed stayed later to help us with some office work! Many of these folks drove over an hour to be here before 7:00 AM! When Subaru says “Share the Love,” they really mean it! 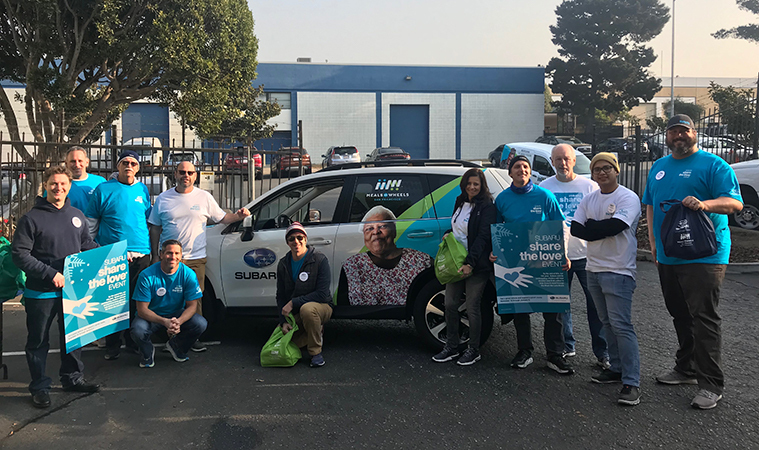 Every year our local Subaru team shows up ready to support seniors and we are contunally excited to grow our partnership with Subaru here in San Francisco! Thank you, Subaru, for being such fantastic partners. 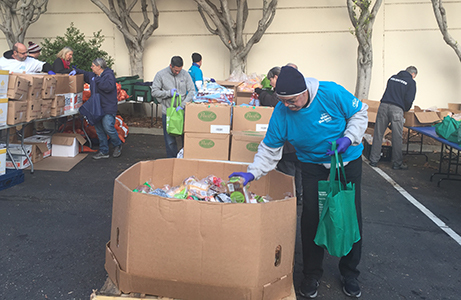 Since its inception eleven years ago, Subaru's Share the Love campaign has helped deliver over 2 million meals to seniors nationwide. The #ShareTheLove campaign provides home-bound seniors with critical support that allows them to age in their own homes with dignity and independence for as long as possible. 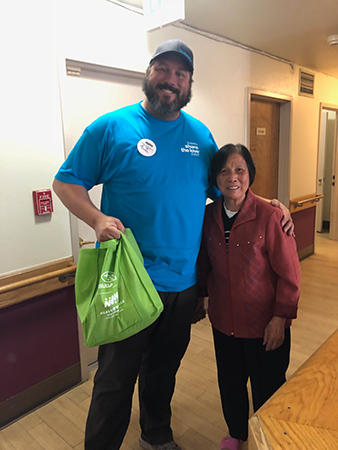 On behalf of vulnerable seniors in California and throughout the US, we thank Subaru of America and Subaru America San Francisco Zone for their very generous philanthropy!